Approach your communications role with refreshed creativity by getting a boost from three dynamic speakers at this interactive workshop at the innovative, colorful and inspiring Catalyst Ranch. Join IABC Chicago on October 21 for a late afternoon session of skill building in improvisation, mind mapping and storytelling; networking and refreshments included. Watch this video to know more. Learn how the principle tenet of improvisational theater — ”yes and…” — can help improve the way you creatively think in the workplace. Ellyn Michalak will give you a brief overview of the benefits of improv, and will get you on your feet to help recognize how you can use these valuable skills to improve your leadership and communication skills. Ellyn Michalak is a group manager in the employee engagement and change management practice at Weber Shandwick. During the day, Ellyn works as a communications professional, but at night she performs regularly at many theaters across town with her all-female improve group CALEB. What if you could increase your productivity by 30% or more? What if you could brainstorm and collaborate more effectively? Mind mapping sparks your creativity and unleashes your innovative powers to give you and your team an edge up. 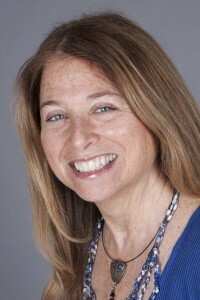 Laurel Krasne, co-founder of BrainNovation.net, will present this powerful visual technique that can be applied to every aspect of your life—both at the office and at home. It works the way your brain works—so you’ll find yourself more engaged, more committed to doing the work and having more fun. Storytelling is the latest buzz word in content marketing and communications, but how do you find and tell the best story for your company, project or new campaign? 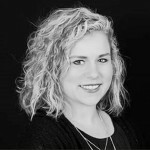 Jolean Olson, Director of Development for Scenic Road, will share methods that any creative (or not so creative) professional can use to move past writer’s block to deeper engagement with your audience, including tips and tricks, tapping into common themes, and harnessing emotion and authenticity. This presentation will share imagery and video best practices that apply to any form of storytelling. Time: 3:30 p.m. to 7:00 p.m.
Catalyst Ranch works with a parking garage just 1.5 blocks away for discounted vouchers. At just $10 per voucher, that’s a deal! See the garage location. Ellyn Michalak, Group Manager- Employee Engagement & Change Management Practice (EECM) at Weber Shandwick,; Ellyn helps drive employee engagement and effective change management through creativity and innovative communications strategies. She began her career at Burson-Marsteller in the Corporate Practice. Prior to joining Weber Shandwick, Ellyn worked in the Communication and Change Management Practice at Towers Watson where she served as onsite change management support during a major pharmaceutical company’s separation into two organizations. She also conceptualized and created interactive content for a virtual environment that explained the Affordable Care Act and how to navigate the Health Insurance Marketplaces to 100,000 employees at one of the world’s largest fast food restaurants. consulting, Laurel is the co-founder of BrainNovation.net, a company that empowers people to unleash their minds’ potential using the benefits of whole-brain thinking and processing—primarily through Mind Mapping and Memory Techniques. Laurel served on the IABC Chicago Board from 2008-2012 coordinating Professional Development and Sponsorships. Jolean Olson is an Emmy-award winning content producer. She has fifteen years of experience creating, writing and producing a variety of content for the web, broadcast & cable television. From digital branded content to talk shows, news, reality, lifestyle and documentary, she believes story is the heart of all content… and story itself is an art form. Her work has appeared on networks such as DIY, PBS, and the Weather Channel, and she has worked on development teams tasked with creating new shows for HGTV, CNBC, TLC, Bravo, Food Network, Destination America and others.